What’s hiding in your attic? The attic usually functions as the main storage space in the house. All the memorabilia from your childhood, a dumping ground for stuff without a home or maybe even some wildlife! It’s actually a large space with unfulfilled potential. 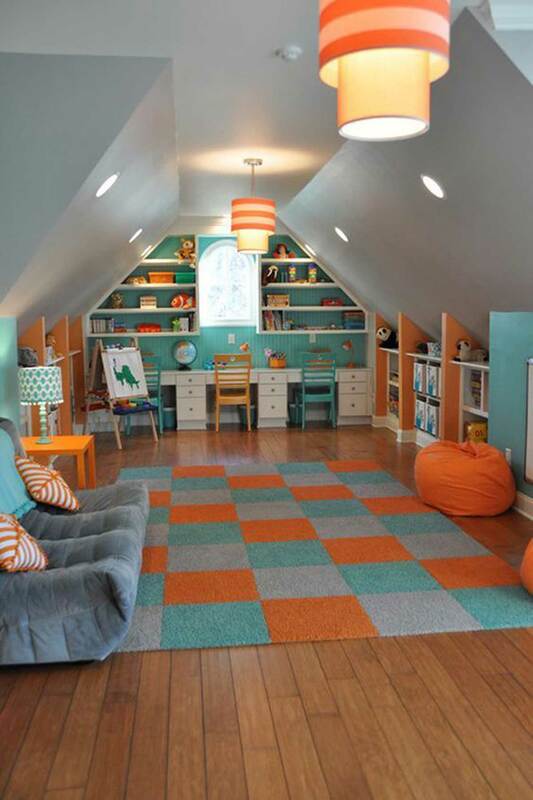 Attic conversions can transform a dead space into a functional area to match with your lifestyle. For the kids it’s the perfect hideaway and for the parents a great space to store all those toys! Remodeling an attic into a living space generally requires 60 per cent of your attic space to be at least 2.4 metres high. Floor joists should be up to the local codes and able to support the additional weight when the remodel is done. According to the Building Code of Australia, an attic conversions must have a window and a staircase to the floor beneath. Depending on the purpose of the remodel, think about which systems you want or need to extend to it. If it is going to be a children’s room or playroom then you will probably need both the electrical and plumbing systems. When it comes to electricity, running wires to the attic should not be a problem. The only thing you have to make sure of is that your electrical panel can withstand the increased demands, and that it has enough room for more breakers. 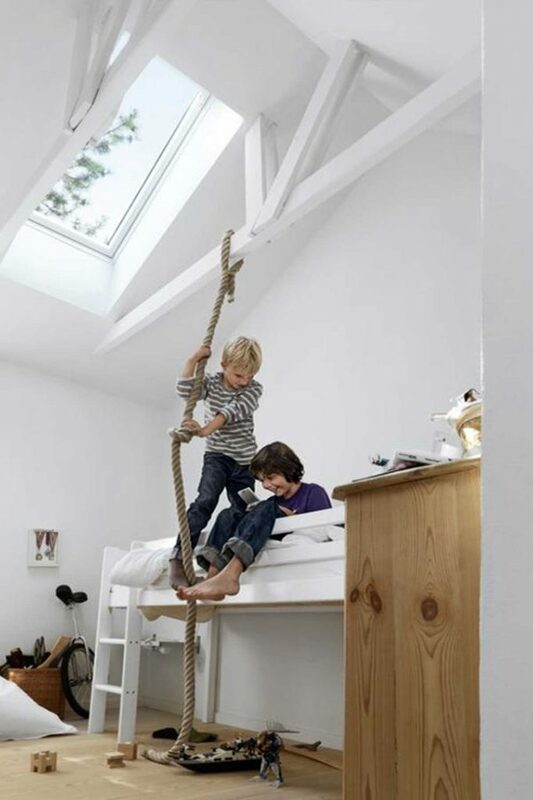 Bathroom is not a must-have in attic conversions, especially if it is going to be a playroom. But you can always put in one, especially if you plan to turn it into a kids’ bedroom. In that case, you will need to add plumbing as well. Try to build it close to the main stack to reduce the length of the pipe. 3. What kind of roof system do you have? The first thing you need to check is whether your roof is made up of rafters of trusses, because it makes a big difference to your project. If it is a conventional rafter system, then you have little to worry about. There will be enough space for your project, without any boards getting in the way. On the other hand, if you have a trussed system it will present a problem because it is unlikely that you will be able to remove any of them and realize your project. Trusses run between the roof and the floor forming triangles, they depend on each other and usually cannot be moved, but consult with an architect to be sure. There is always less light coming in the attic so it is inevitably darker than the rest of the house. Having at least one window is required by the code, but also think about adding a skylight or two. It will allow the much needed light to come in – just make sure to install it properly, figuring out the path of the sun. Installing additional windows may be a little more complicated due to the shape of the room and the roof, but creative thinking alongside a carpenter usually provides a solution. 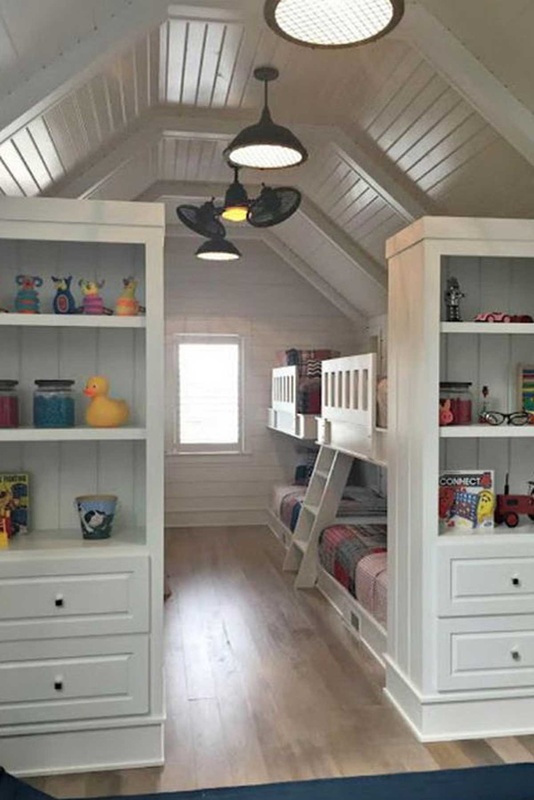 When it comes to walls, it is important to add a lot of insulation, because during summer attic conversions can get especially warm and overheated, and, of course, you don’t want your kids to be cold during winter. Since this is going to be a kid’s room, a playroom, then be smart when thinking about flooring. You’ll want something that is durable and easy to clean, for example laminate. It is an imitation of wood, so it looks nice and it is very easy to maintain and clean. Make sure not to crowd the room with unnecessary furniture or decoration. 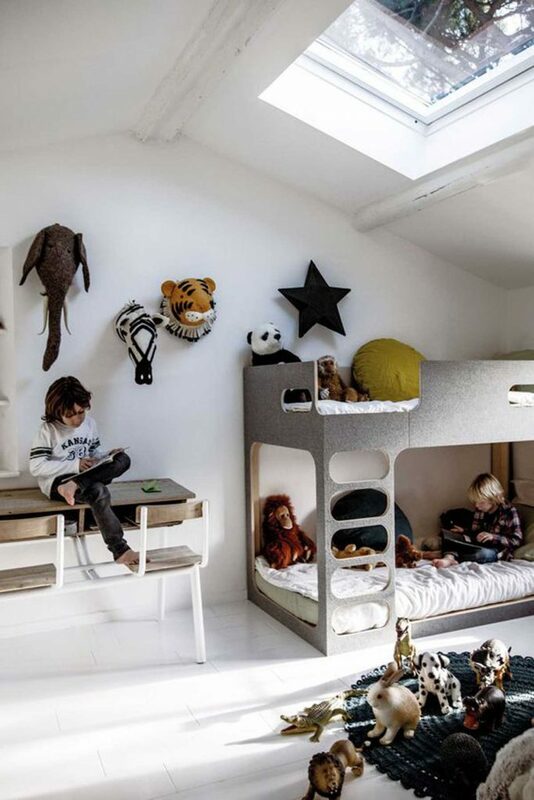 It is a kids’ room and it will mostly be used for playing and having fun, so they will need as much space as they can get. With some custom built shelves or cabinets you will get some storage room as well as save some more space. Try to fit them in with the slanted ceilings, follow the lines of the roof and walls, and fill the small empty spaces where nothing else would fit. 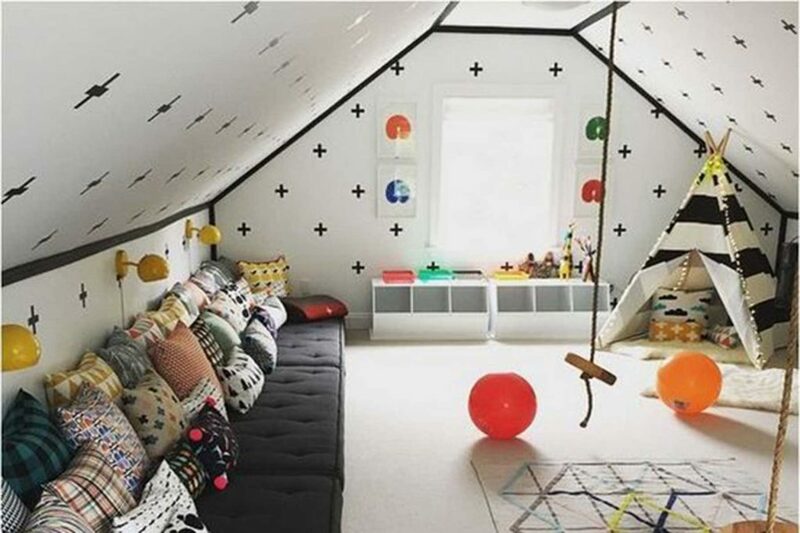 Creating a living space in your attic is not a small or a cheap project. It is estimated that a remodel can cost up to $60,000, so be sure you know what you’re getting yourself into. The price depends on the square footage of your attic and the scope of work that needs to be done. Putting in windows is the most expensive part, and can be anywhere between $3,000 and 18,000. A proper heating and cooling system is right after that, with the expected budget of at least $6,000. You can save some money on certain things that you can do yourself, such as insulation, but make sure to always choose quality over saving a few dollars. 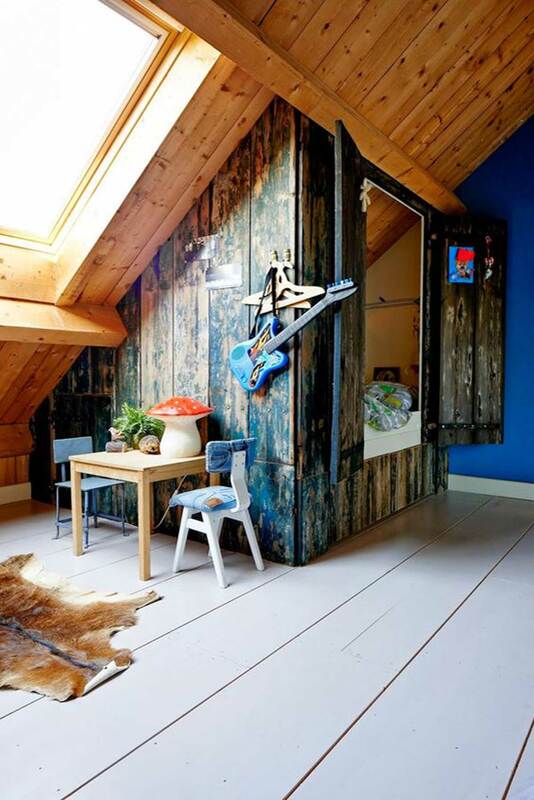 Attic conversions can be transformed into a truly functional space with the assistance of professional interior design. With a flat fee of $299 per room Designbx is the number one online interior design destination. Check out our interior designer portfolio for inspiration!